Oligo d(T)18-24 Magnetic Beads are polymer based affinity matrix for small-scale, rapid isolation of mRNA from crude cell lysates or tissues. Oligo d(T)18-24 Magnetic Beads are polymer based affinity matrix for small-scale, rapid isolation of mRNA from crude cell lysates or tissues. The isolation occurs through the hybridization of covalently coupled oligo d(T)18-24 to the poly(A) region present in most eukaryotic mRNA. The isolated mRNA can be used directly in most downstream applications in molecular biology, e.g. 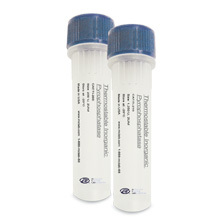 RT-PCR, cDNA library construction, in vitro translation experiments, and gene expression analysis. 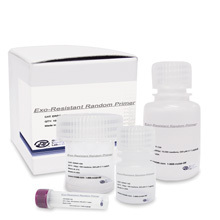 The protocol can be performed in 15 minutes, without the need to prepare total RNA or perform any other purification steps. 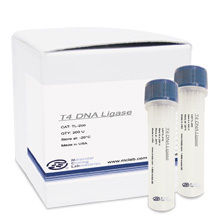 The oligo dT bound to the bead surface can be used to both capture the mRNA and act as a primer for reverse transcriptase during the first strand cDNA synthesis. Oligo d(T)18-24 Magnetic Beads are also available in 96-well plate format for high throughput usage. 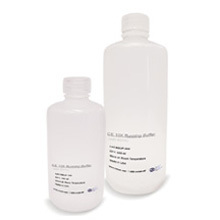 Oligo d(T)18-24 Magnetic Beads are supplied as a 5 mg/ml suspension in phosphate buffered saline (PBS buffer, pH 7.4), containing 0.05% Tween® 20 and 0.05% NaN3 .